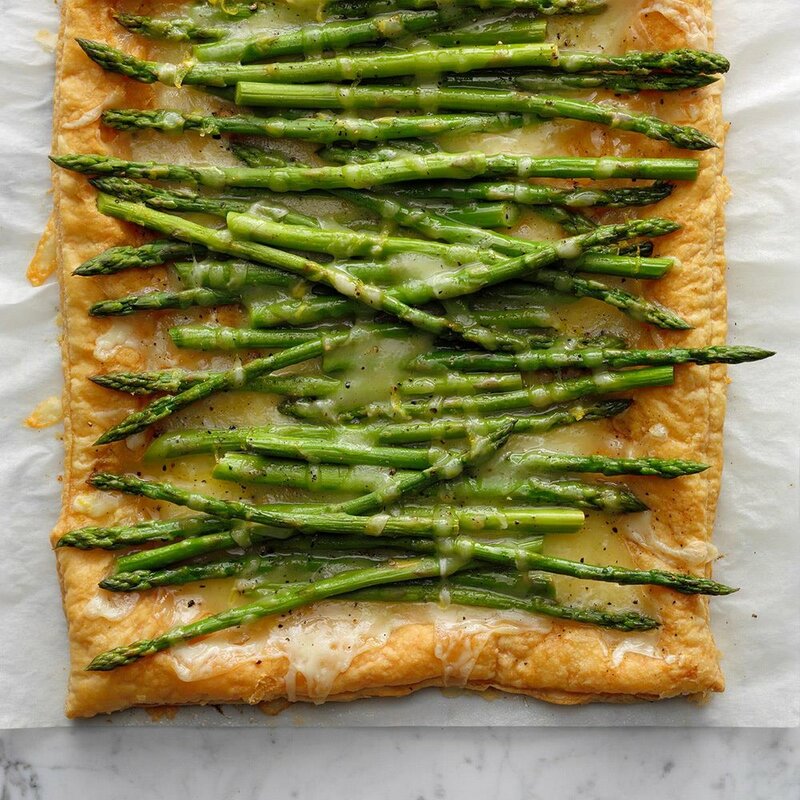 Fontina Asparagus Tart — LBA, INC. 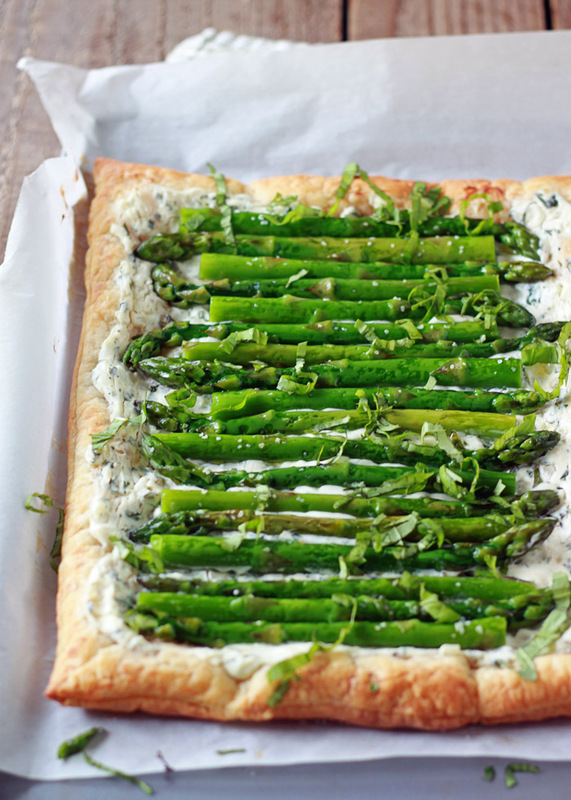 This lemony tart is loaded with fontina cheese and fresh asparagus. It's a snap to make but looks really impressive. Be advised…your guests will be vying for the last tasty slice. Preheat oven to 400 degrees. In a large skillet, bring 1 in. of water to a boil; add asparagus. Cook, covered, until crisp-tender, 3-5 minutes. Drain and pat dry. On a lightly floured surface, roll pastry sheet into a 16x12-in. rectangle. Transfer to a parchment-lined large baking sheet. Bake until golden brown, about 10 minutes. Sprinkle 1-1/2 cups cheese over pastry to within 1/2-in. of edges. 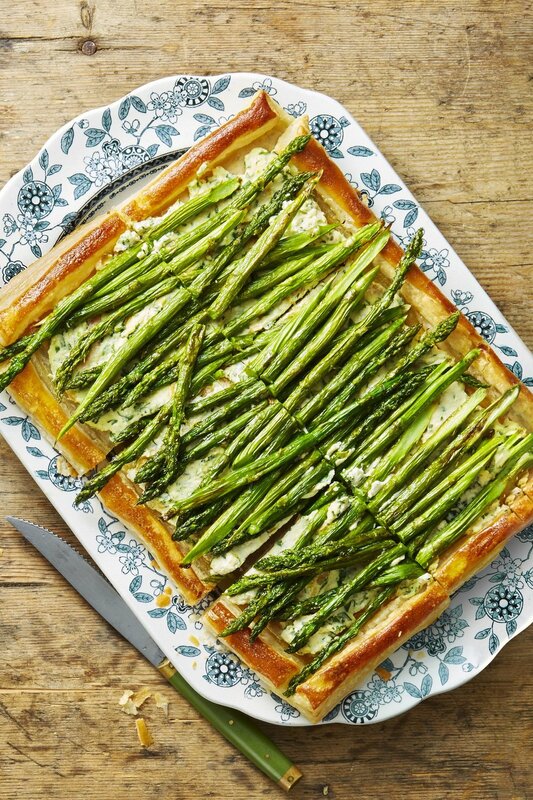 Place asparagus over top; sprinkle with remaining cheese. Mix remaining ingredients; drizzle over top. Bake until cheese is melted, 10-15 minutes. Serve warm.